This week I had a cool experience of following the spirit. We were planning on taking the car because we were going to go check on someone in an area really far from a metro stop, but I really felt we needed to go on the metro right then. I couldn’t shake off the feeling so we went and did it. We were at the metro stop and we met this lady named Gwen. We started talking to her and she said’ “wait what church are you from?” When she found out we were Mormon she got so excited! 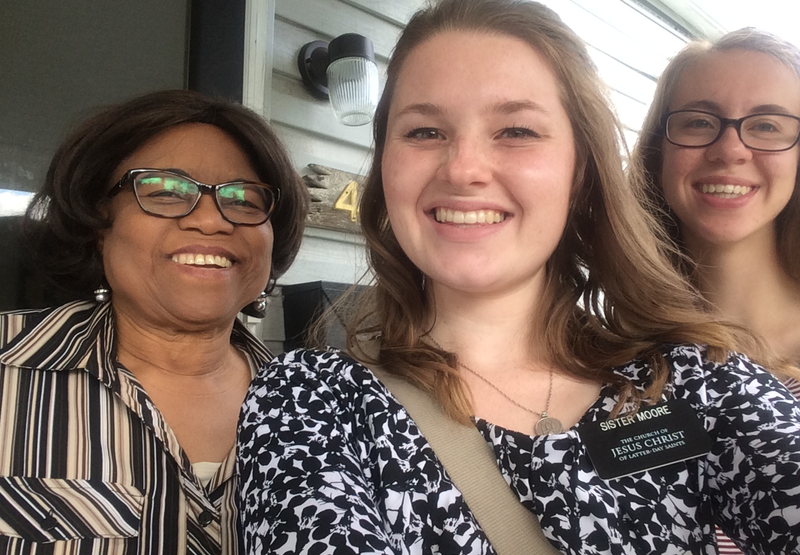 She said she used to meet with Sisters in Potomac to read the Book of Mormon but then she moved to back to her country, Zimbabwe. They were going to send missionaries there but somehow the network didn’t work so she couldn’t email the sisters her address. She said she had been waiting for the sisters to call since she came back because she lost their number. We were able to exchange contact information and will hopefully put her in contact with missionaries in her area! We were obviously put in her path, I am so glad I followed that prompting.